The Cowboy State sits in the west of the United States, bordering Montana, Idaho, Utah, Colorado, Nebraska, and South Dakota. Wyoming declared the Cottonwood its state tree, and the tree does grow well in this Rocky Mountain State. A large deciduous tree, sometimes reaching heights of 90 feet tall, the Cottonwood actually refers to a subgenus including several different types of Poplar tree, commonly referred to as Cottonwoods. The bark is jagged and cracked, and the Cottonwood’s leaves are diamond –shaped. The Cottonwood is flood resistant, and its deep roots protect against flooding. 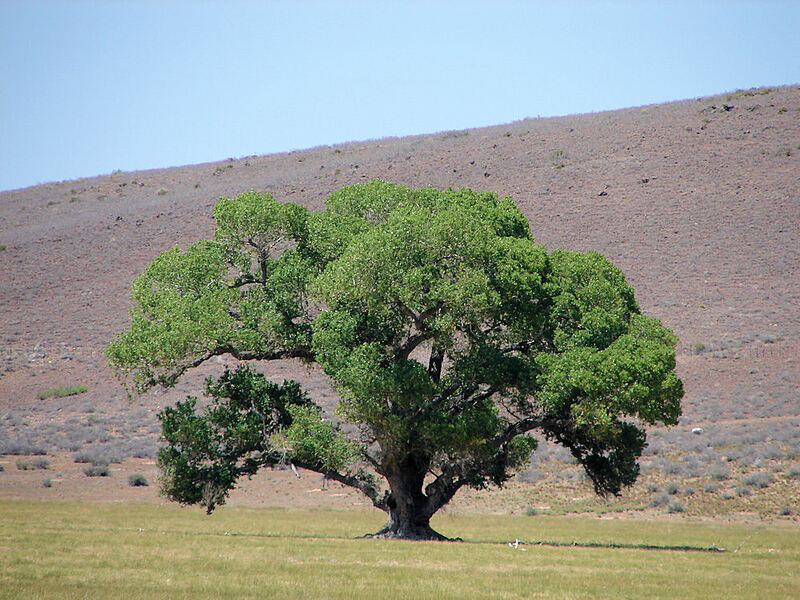 Although the Cottonwood is a popular addition to many backyards, Wyomingites may prefer one of the other many varieties available for planting. 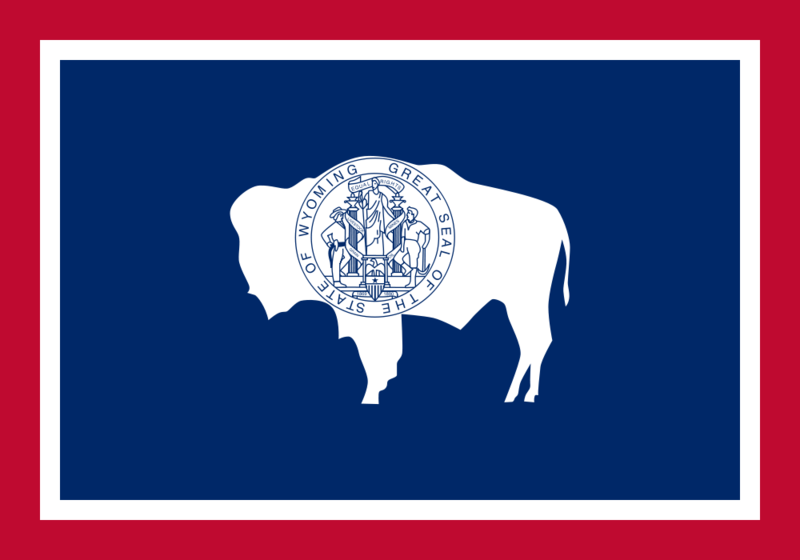 A state that without doubt deserves its millions of residents, Wyoming is continuing to attract new inhabitants from other parts of the United States. Although a boon for the local economy, new infrastructure can be invasive and annoying. Solutions exist for prying eyes and sound-producing highways. Trees that are cultivated to form protective barriers, better known as ‘privacy trees’ can be planted to afford the Wyoming yard the solitude and peace it deserves. Although there are many privacy trees Wyoming planter may plant, none is as fitting as the Willow Hybrid. The Willow Hybrid grow quickly, at upwards of 6 feet a year, and provides fast-growing privacy. Unlike many privacy tree species, the Willow Hybrid is not an evergreen but a subset of the willow, providing a unique barrier against intrusions of every kind. The Willow Hybrid is not the only option to choose from in Wyoming. Alternatively, consider the Thuja Green Giant or Juniper ‘Witchita Blue’. Wyoming’s climate is characterized as continental and semi-arid. The state sees extreme temperatures and dry, windy seasons. Summers are hot, often averaging between 85°F and 75°F at daily highs. Above 9,000 feet, this changes dramatically, and residents in these regions will only experience daily high averages near 70°F. Regardless of elevation, nights are generally cooler, ranging between 50°F and 60°F typically. Winters are cold and dry, though temperatures vary frequently. The hottest temperature on record was set in 1900 at 115°F, and the lowest temperature on record was set in 1933 at -66°F. Most trees require well-drained soil rich with minerals to grow. Forkwood soil is a well-draining loam. This deep soil is best used for grazing livestock, which is one of its primarily uses. Additionally, grasses grow well in the soil Regardless of the property’s location in The Cowboy State, a soon-to-be tree planter can perform a simple test to determine his/her soil type. Wyoming is dry. The wettest seasons are spring and early summer. Even then, average annual totals across the state are less than 10 inches. Rainfall totals tend to increase with elevation. In the lowest areas of the state, in the Big Horn Basin, plants may only see 5 to 8 inches of rain. In the eastern plains, residents are more likely to see between 10 and 12 inches of rain. The highest elevations can see quite a bit of rain, primarily in the form of snow. Some mountain regions may accumulate as much as 200 inches of snow. In a state with both minimal and unevenly distributed precipitation totals, irrigation is an essential tool. Newly planted trees require consistent and constant access to water, and irrigation systems, such as drip or sprinkler systems, can be an effective tool for providing this water dispersal. New trees may need to be water two to three times a week when first planted, and irrigation systems will efficiently distribute water using a low pressure timed system. This will both conserve water and ensure successful plant growth. 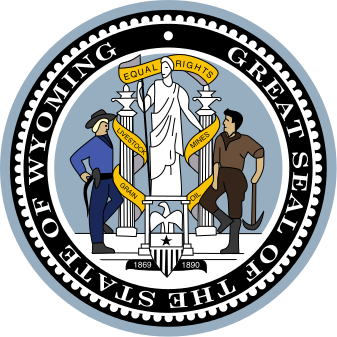 The 10th largest state in the nation, Wyoming is home to eight growing zones. A growing zone simply refers to the USDA’s determination of areas where certain plants are most likely to thrive, preferring to focus on minimal temperature ranges in which a plant can survive. The zones are centered on elevation, typically. Near Cheyenne, in the southeast, low temperatures are warm, ranging between -15°F and -20°F. In the far corner of the southeast, low temperature ranges are warmest, between -15° and -10°F. Most of central Wyoming falls into zone 4a, with temperatures in between -25°F and -30°F for extended times. The coldest low temperatures occur in Yellowstone National Park; here, temperatures may linger between -35°F and -50°F for extended periods. Wyoming does not receive dramatic weather frequently, with thunderstorms and weaker tornadoes causing the most damage. Thunderstorms occur most in the southeastern plains and bring the heaviest rains of the spring and early summer. Tornadoes, when present, are typically small and brief. Again, tornadoes most commonly affect the southeastern portion of the state.